Watchmen has been called the greatest graphic novel of all time. 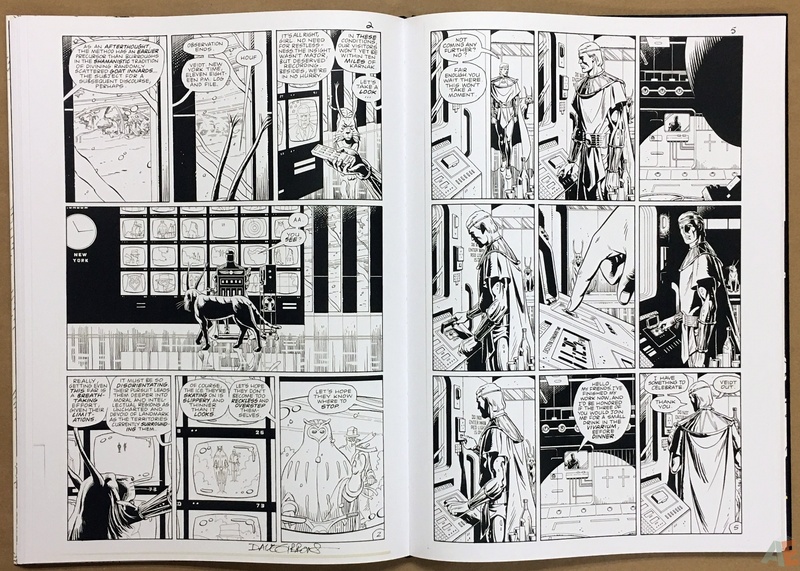 Alan Moore and Dave Gibbons created a story and graphic narrative unlike anything that preceded it, and revitalized the entire art form that followed. 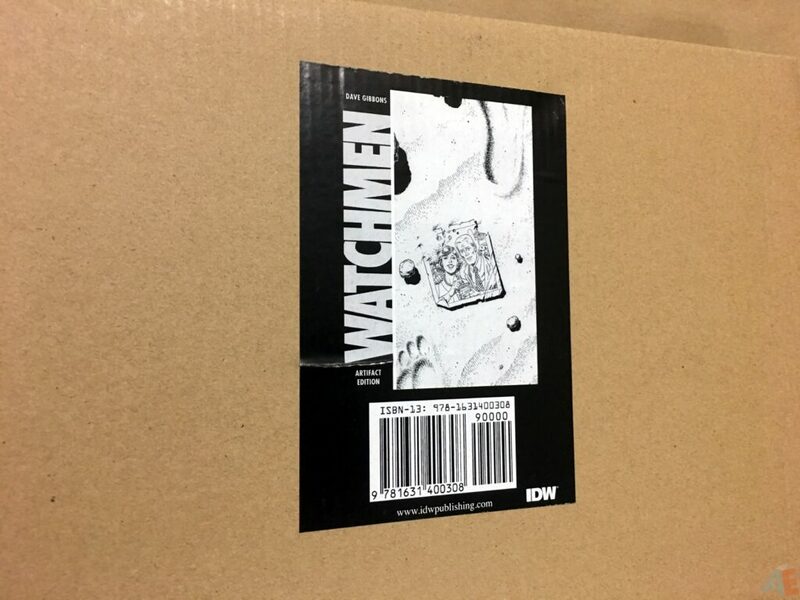 It is the one book that nearly all comic readers know inside and out… or so you thought! 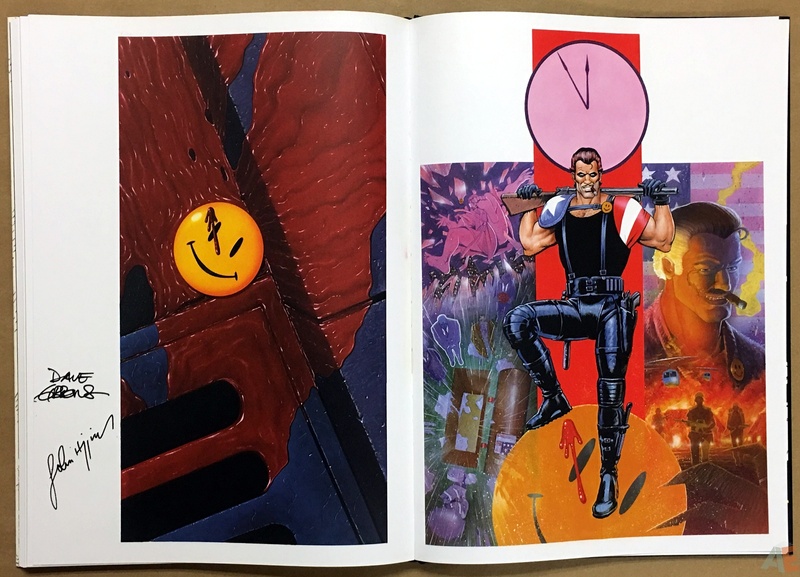 Now, with the full assistance and cooperation of Dave Gibbons, comes Dave Gibbons’ Watchmen: Artifact Edition, crammed full of high-resolution scans shot directly from Gibbons’ original art. 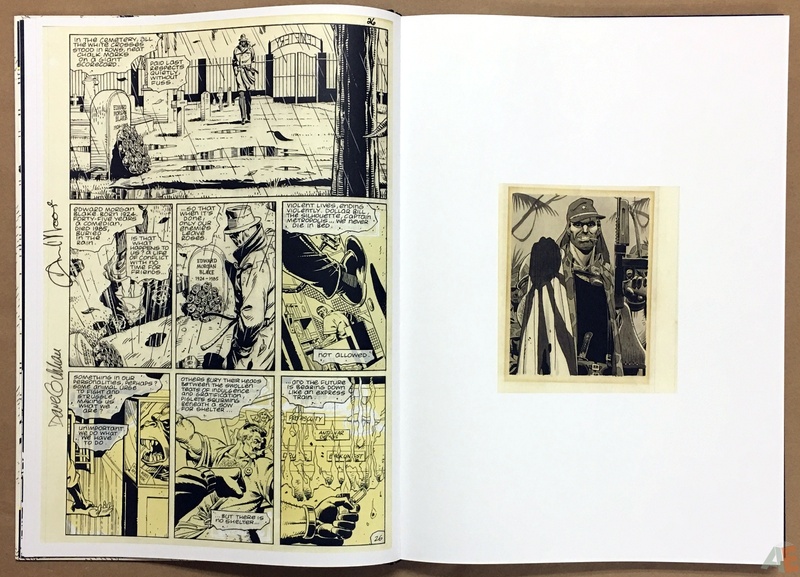 Covers, interiors, advertisements, portfolio pieces, and color guides—this is the ultimate collection of the ultimate graphic novel! 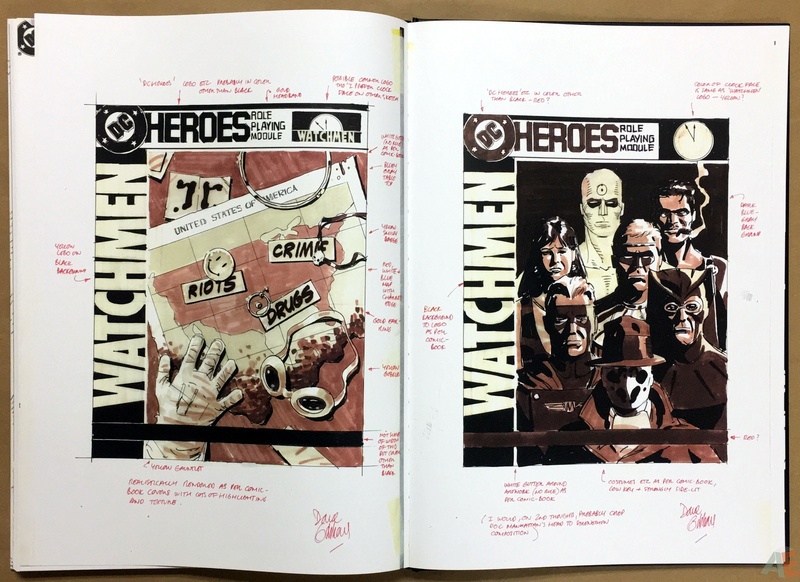 Here is editor Scott Dunbier’s explanation of this volume. 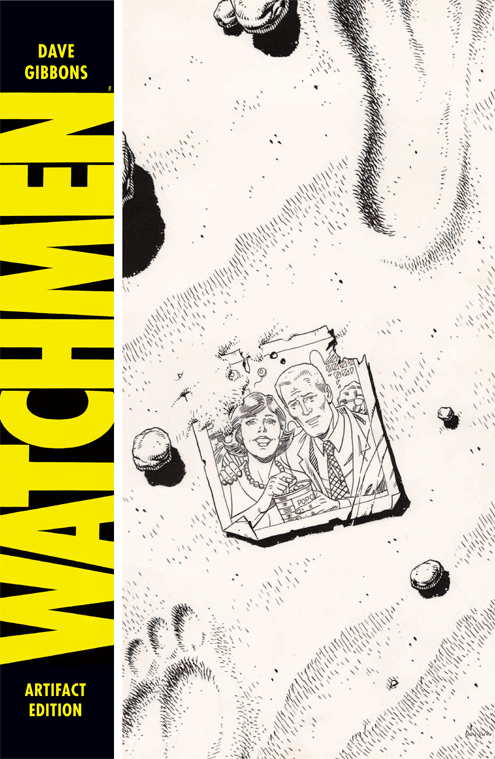 “Watchmen” (like I need to tell anyone) is something very special in comics — no other series has even come close to receiving the praise that has been heaped upon it, and deservedly so. 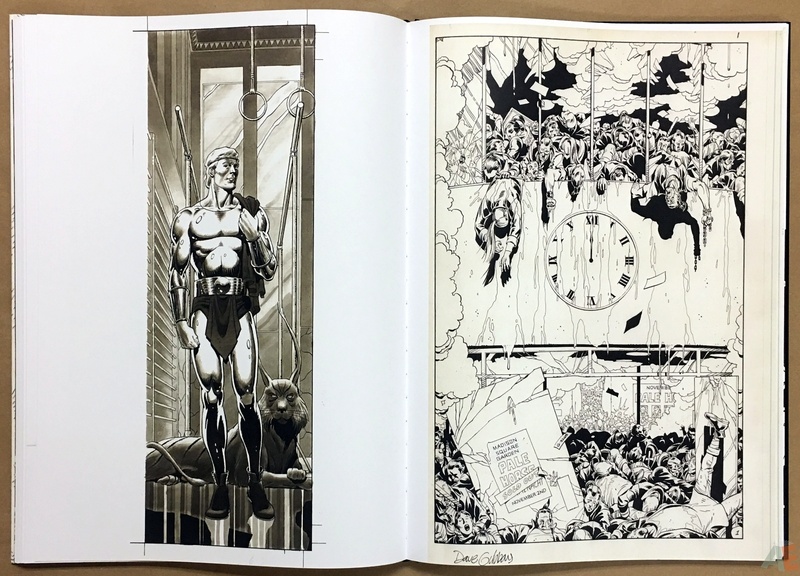 When Dave first approached me about doing a book like this I knew it could not be a traditional Artist’s Edition — too many of the originals had been scattered to the four corners of the globe, we could not do complete stories. 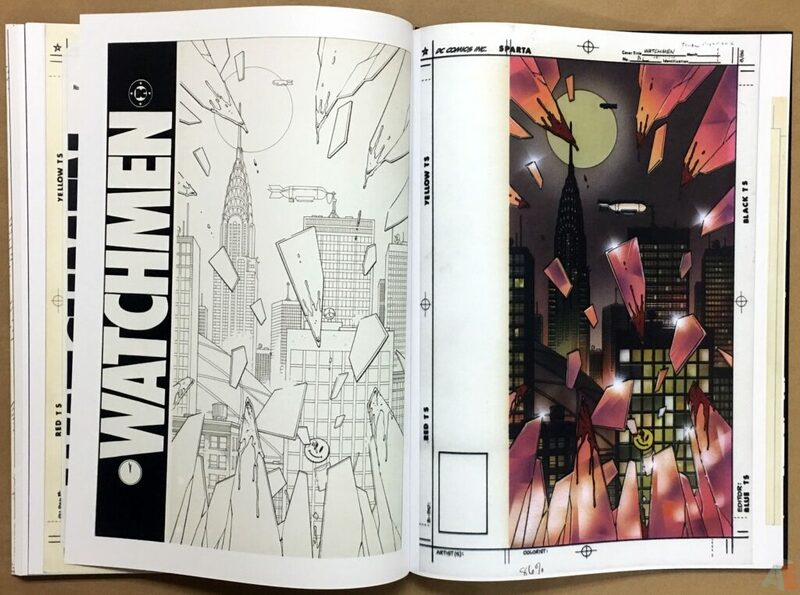 But the work is just too damn good to not do a book like this! 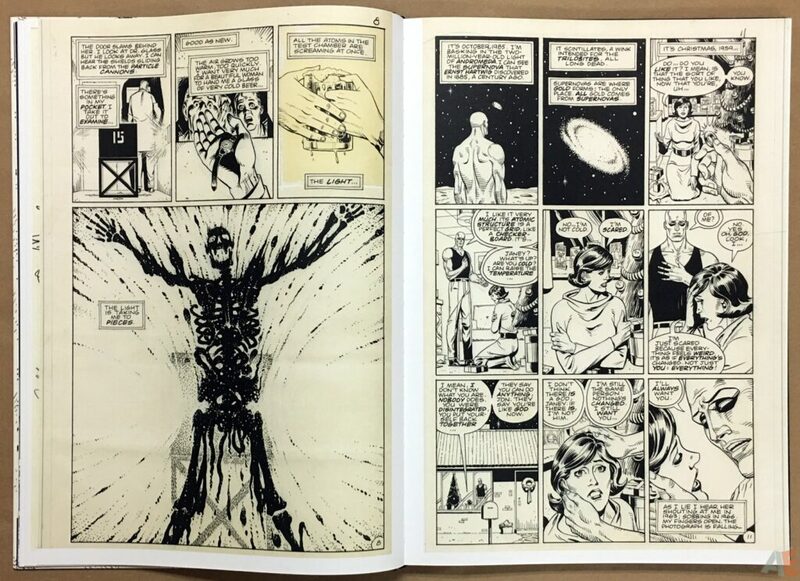 So I decided to try something a little different — it looks like an Artist’s Edition, it feels like an Artist’s Edition, it’s the same quality of reproduction as an Artist’s Edition, but it’s just a little bit different. It will collect individual pages and covers, and be called an Artifact Edition. 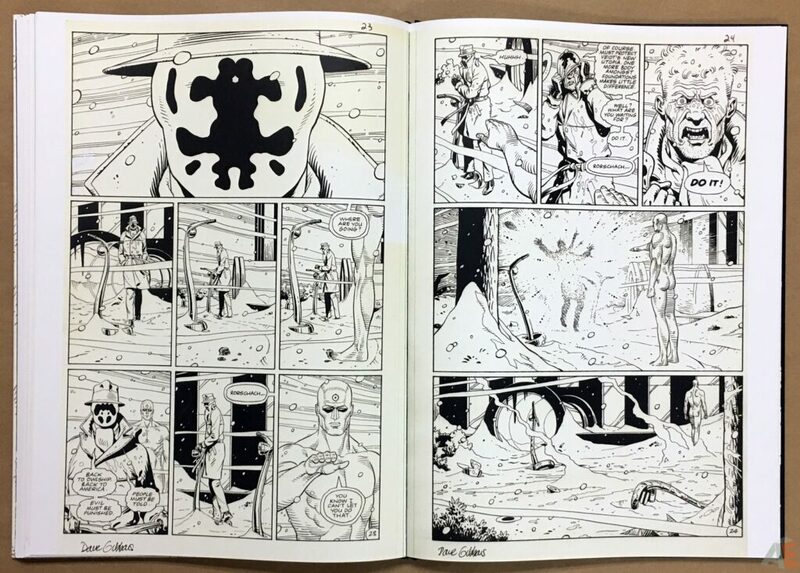 So it’s not an Artist’s Edition, per se, but you still get to see all that beautiful Dave Gibbons “Watchmen” art in its rawest form. 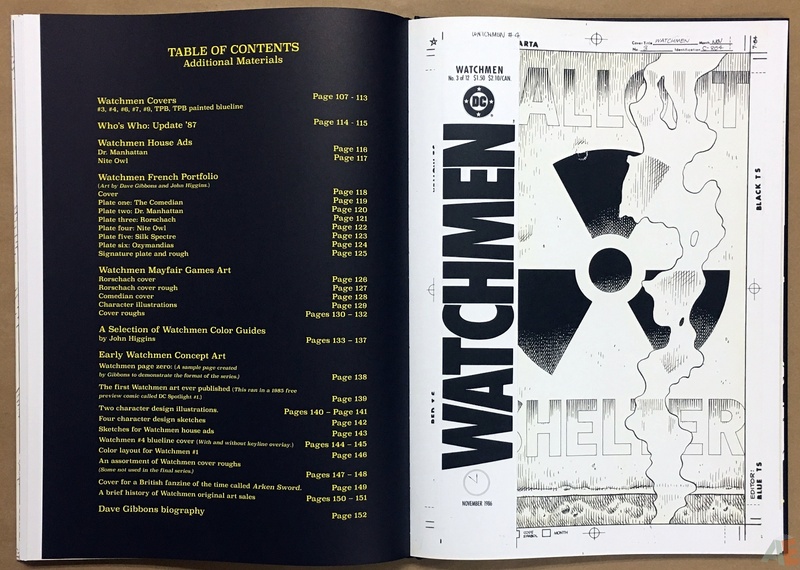 Here we have Artifact Edition number one: a book in the same format and design as an Artist’s Edition, but it doesn’t contain a single complete issue. 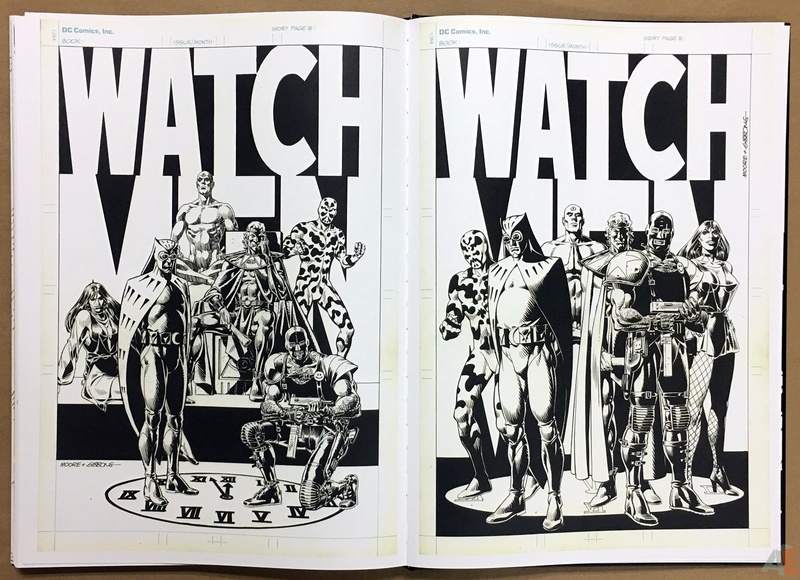 There are 99 pages from Watchmen’s twelve issues, the longest run of pages coming from issue twelve. Here’s a list of what pages are contained. 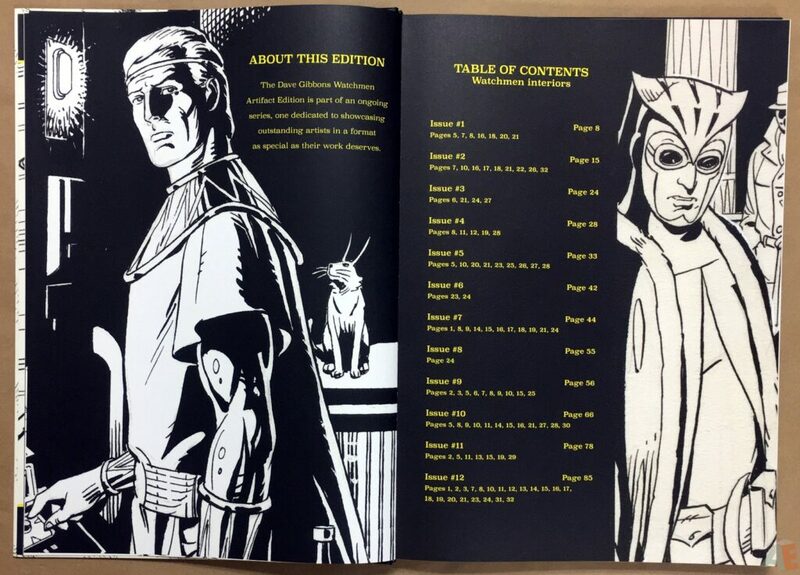 Going into this volume one already knows readability is hampered. 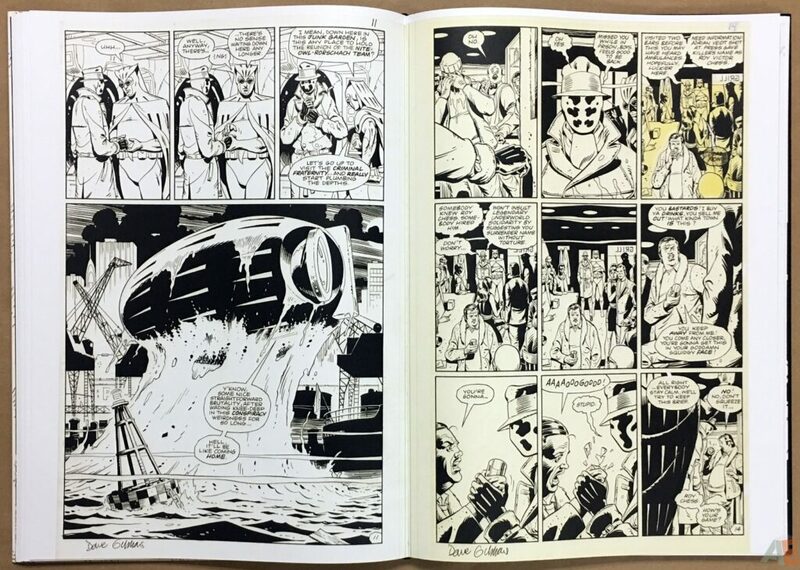 Artifact Editions are not to be purchased to read the story but to enjoy and study the artwork and lettering. 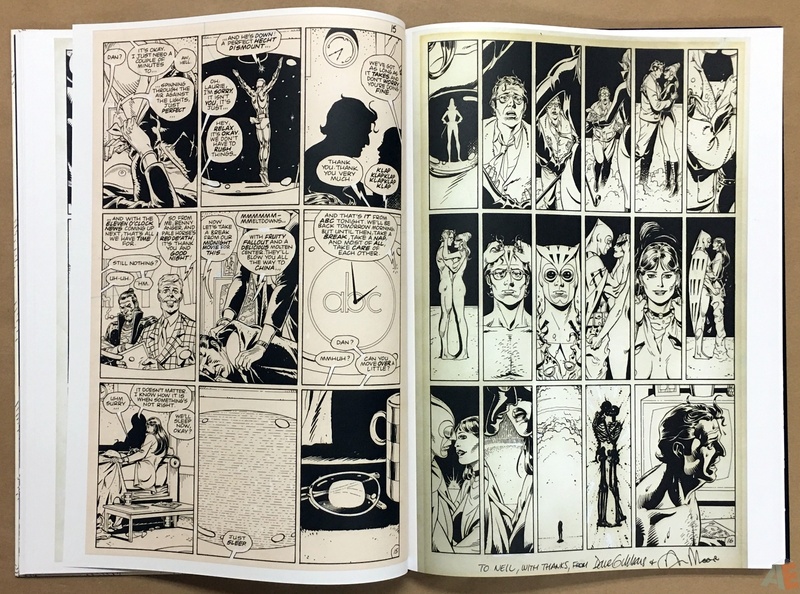 Of course every page can be read, and most readers buying this edition are familiar with this iconic story. 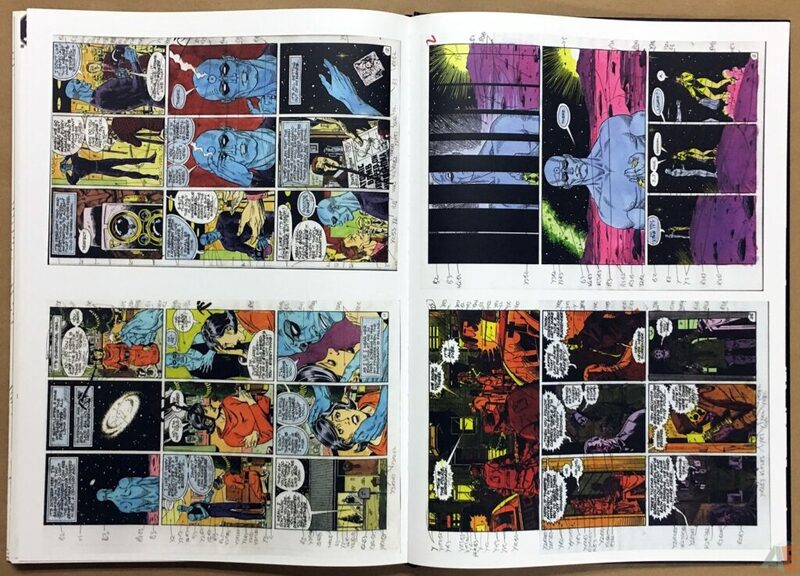 It’s a good companion piece to the Watchmen Absolute Edition since it’s the largest book of the completed production comic, but at only 9×12″. 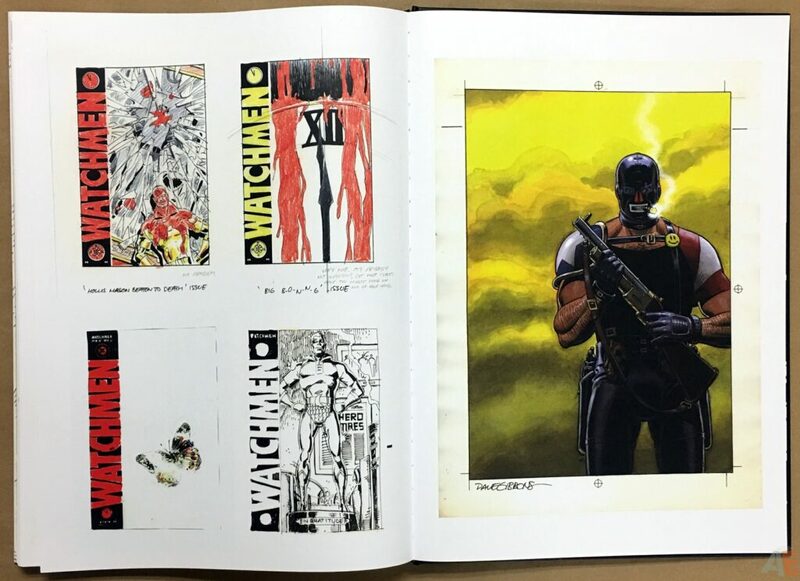 The additional materials section at the back is 45 pages of covers, ads, colour guides, concept art, and more. 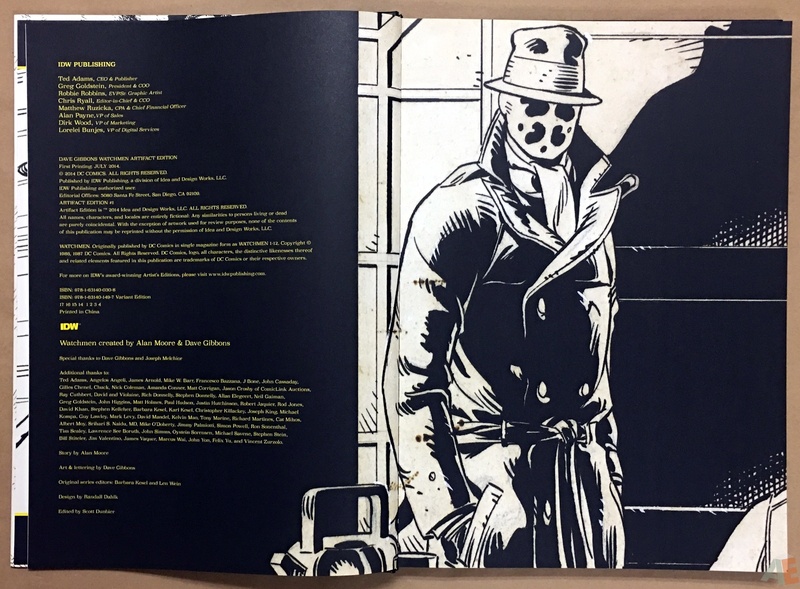 It’s a real gathering of anything and everything Gibbons did as part of Watchmen. Especially enjoyable are the six full colour original covers for the French editions; I have that portfolio kicking around somewhere. It’s odd only five of the U.S. series’ covers are included since all twelve were auctioned by Heritage last year. 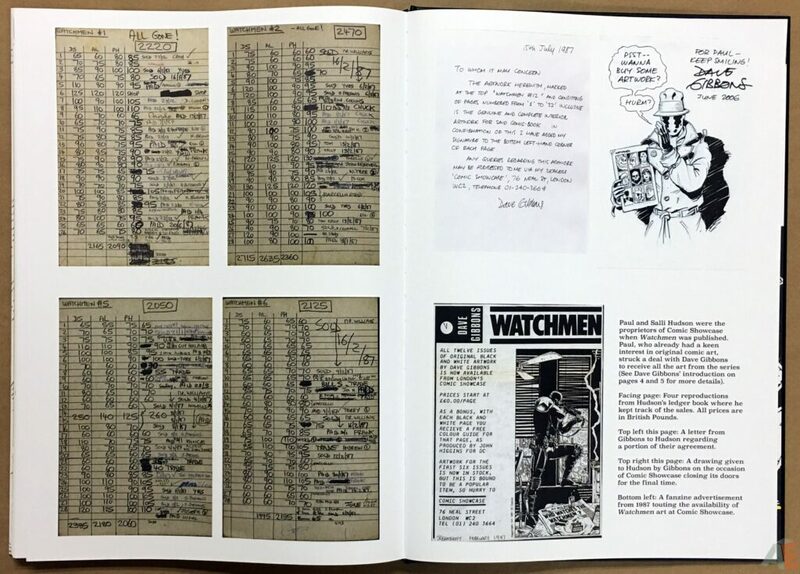 Then again I didn’t see Heritage as part of the “thanks” section of the indices page, and their archives showed pages not included in this volume. Another beautifully put together book. 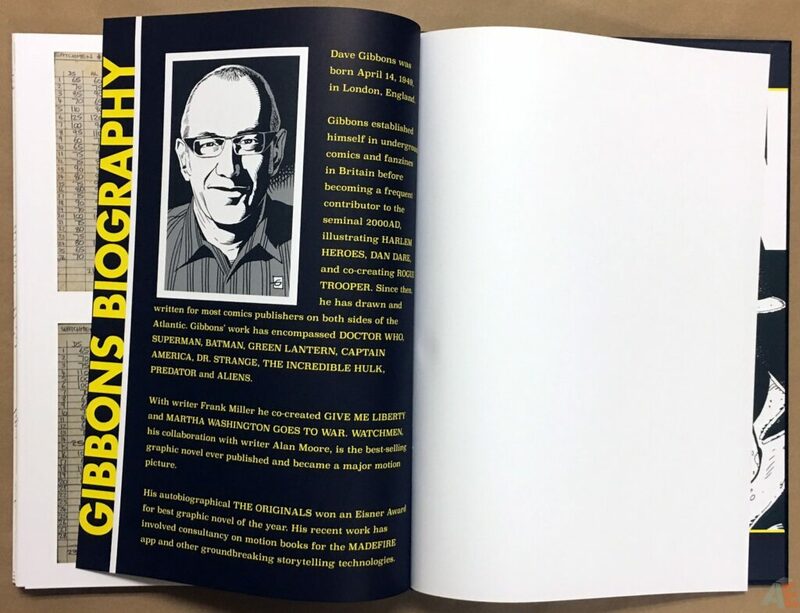 Randy Dahlk’s design is very clean and minimal, employing yellow text and black backgrounds with large images, in line with the original covers. 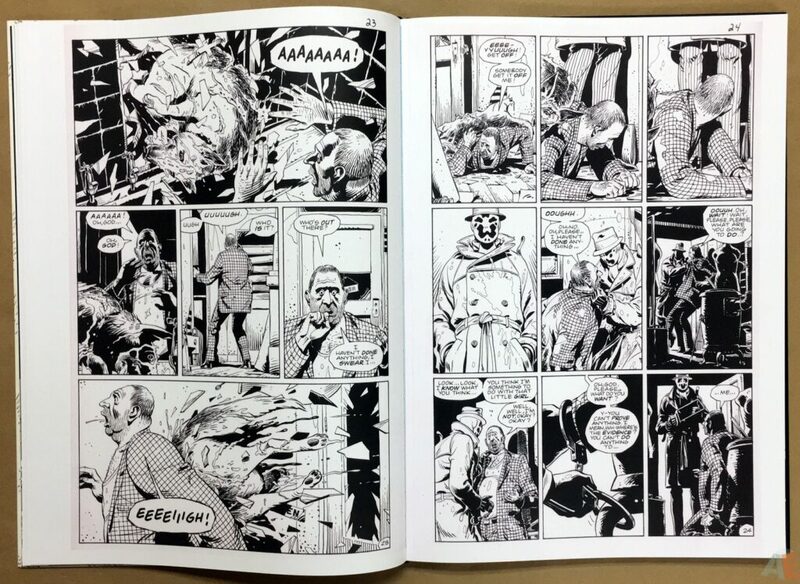 Thick pages, sewn binding, excellent production all around as usual. 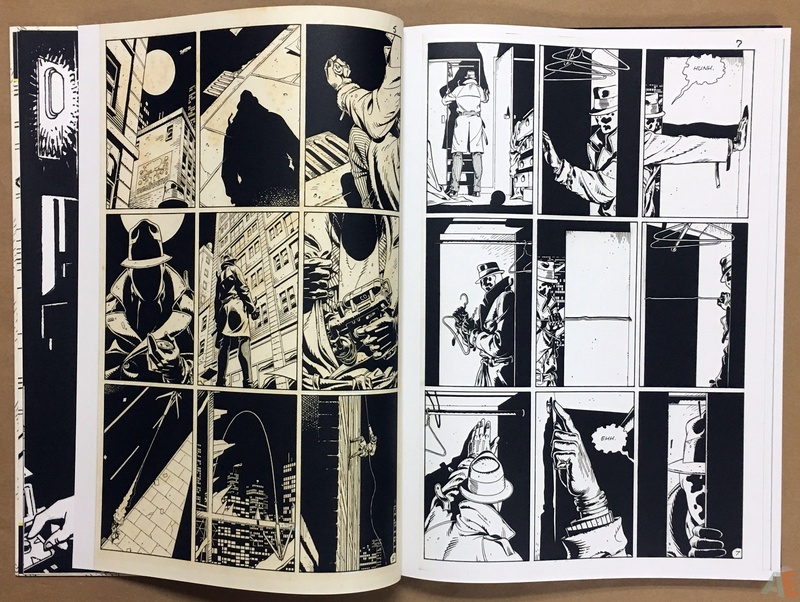 All the art was sold soon after publication and it’s interesting to see the various staging of aging the pages are in: some clean and white while a few are very yellow. 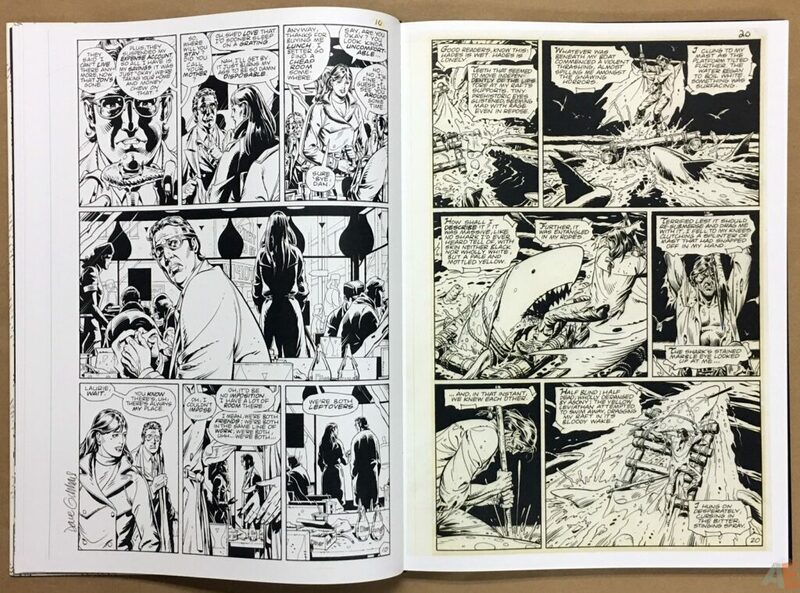 Gibbon’s introduction focuses on how and why he sold the original art, and the end of the additional material spends two pages on the actual sale of the pages; can’t tell if this is a justification of why this edition isn’t complete. 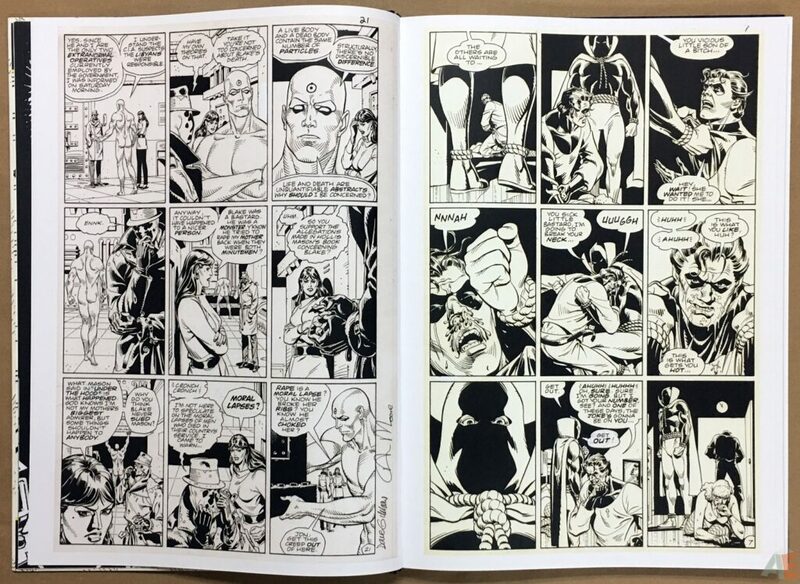 Since Heritage keeps an active catalogue of every auction and we can see pages listed there not included in this volume it makes one wonder how these are sourced. 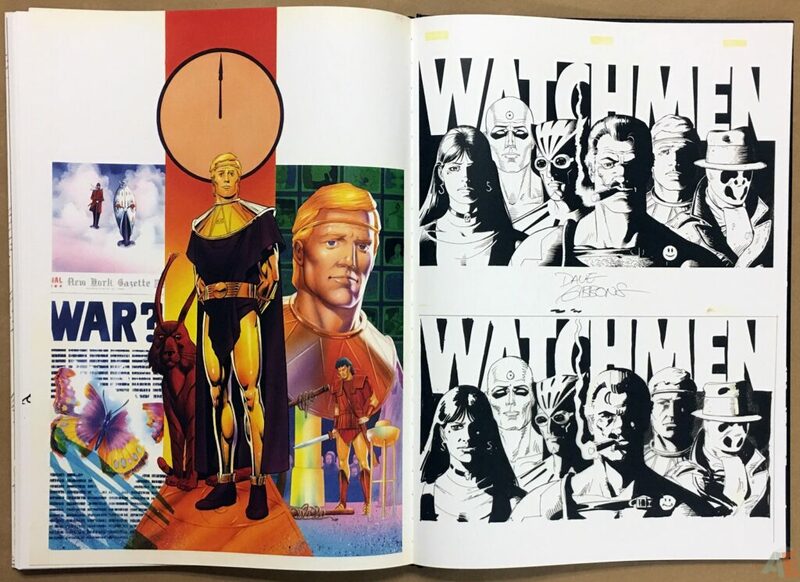 Here’s a video of Dave Gibbons announcing the project at New York Comic Con 2013.